There were 259 press releases posted in the last 24 hours and 153,533 in the last 365 days. CCP Technologies Limited (ASX:CT1) (“CCP” or the “Company”) is pleased to advise that it has signed a global services agreement with Vodafone. Under the agreement, Narrowband Internet-of-Things (NB-IoT) devices manufactured by CCP will operate across Vodafone’s extensive global NB-IoT network. This agreement strengthens ties between CCP and Vodafone further to the recent collaboration that introduced the Company’s solution to the Sydney Airport precinct - refer ASX announcement released 15 May 2018. The deal enables CCP to implement solutions which will fundamentally enhance farm-to-fork cold chain monitoring, with continuous through-chain critical control point data capture, real-time analytics and business intelligence. The Company’s first target market is the food industry, where food safety regulation, energy savings and waste reduction drives adoption. 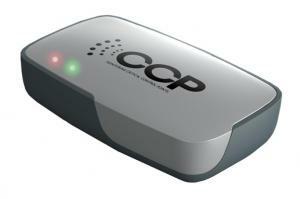 CCP has announced energy monitoring, shipment monitoring and Blockchain initiatives.